The chef feels anxious about the meal that he has just served to the food critic. The food critic feels confident as she gets to judge the chef and give the world her opinion. The playwright feels anxious about opening night. “Will they turn up?” “Will they like it?” She wonders. The audience feels confident as they take their seats. “Who else is here?” “Will I like it?” They wonder. The preacher feels anxious as he stands at the pulpit to deliver another message. The congregation feels confident because no matter what is said, they can take it or leave it. The blogger feels anxious every time he presses the publish button. The keyboard bandit feels confident that his opinion is right as he leaves another chastising comment. In the world that we live in, we aim to be more confident and less anxious. 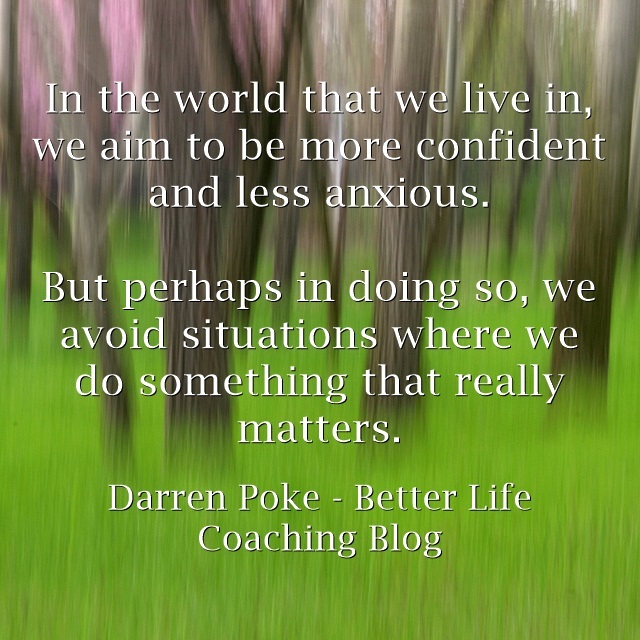 But perhaps in doing so, we avoid situations where we do something that really matters.